The special counsel Robert Mueller is reportedly probing a $150,000 donation a pro-Russian Ukrainian oligarch made to the Trump Foundation in September 2015. The oligarch, Victor Pinchuk, made the donation after then-candidate Donald Trump gave a 20-minute speech at a European conference that promoted closer ties between Ukraine and the West. The donation was reportedly solicited by Trump's personal lawyer, Michael Cohen, whose offices were raided by the FBI as part of a separate investigation on Monday. 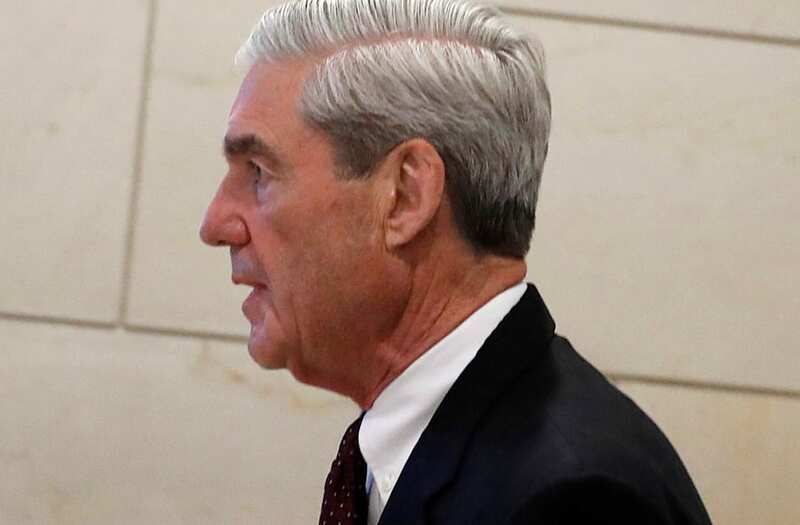 The special counsel Robert Mueller is looking into a large donation a pro-Russian Ukrainian oligarch made to the Trump Foundation in September 2015 after then-candidate Donald Trump gave a video talk at a conference in Kiev, Ukraine, The New York Times reported. At the time, Trump was one of several Republicans vying for the 2016 presidential nomination. In August 2015, Doug Schoen, a political consultant who works for the Ukrainian billionaire and steel magnate Victor Pinchuk, personally contacted Trump to set up the speech, according to the report. Trump accepted the request but reportedly did not broach the subject of any payment. However, his personal lawyer, Michael Cohen, is said to have called Schoen the next day to ask for a $150,000 fee from Pinchuk in exchange for the talk. The revelation comes as Mueller investigates the flow of foreign money into the Trump campaign and Trump's personal business. The special counsel is also examining whether administration officials used their influence within the White House to benefit their personal finances. On Monday, investigators working for the US attorney's office at the Southern District of New York raided Cohen's offices in New York after obtaining a search warrant, and seized records on various topics, such as the $130,000 nondisclosure payment Cohen made the adult-film actress, Stormy Daniels, shortly before the 2016 US presidential election. Investigators also seized a computer, phone, personal financial records, and attorney-client communications. Cohen is currently a subject of scrutiny in two criminal investigations, one of which is being overseen by the SDNY and the other by Mueller's office. The Washington Post reported Monday that Cohen is under investigation for possible bank fraud and campaign finance violations. Meanwhile, the special counsel's heightened focus on Cohen comes after he subpoenaed the Trump Organization for documents and records related to its foreign deals. According to The Times, the Trump Organization responded by handing over documents about Pinchuk's donation, among others. As part of his investigation into the Trump Organization's foreign deals, Mueller is said to be particularly interested in the company's push to build a Trump Tower in Moscow in 2015, just months after Trump gave the talk in Kiev. Cohen and the Russian-born businessman Felix Sater were instrumental in pushing for the deal. Though the project ultimately fell through, it attracted renewed scrutiny last month when Sater confirmed on national television that the Trump Organization was actively negotiating with a sanctioned Russian bank to secure financing for the building at the height of the election. Meanwhile, the Times' report about Pinchuk's donation to the Trump Foundation comes after Mueller questioned at least three wealthy Russian oligarchs over whether they directly or indirectly funneled money into the Trump campaign. Investigators have also been asking witnesses about money flowing in from the United Arab Emirates and asked for information about Pinchuk as part of that line of inquiry. Pinchuk's donation was the largest the Trump Foundation received in 2015 from anyone other than Trump himself, the report said. Experts also pointed out that the large amount of the donation was disproportionate to the relatively short length of Trump's talk, which lasted 20 minutes. Trump gave the talk via a video link at the Yalta European Strategy conference, which promotes closer ties between Ukraine and the West. Previous attendees include former British Prime Minister Tony Blair and former President Bill Clinton. Trump has frequently criticized the Clintons for using their charitable organization, the Clinton Foundation, for personal financial gain and to peddle political influence. Pinchuk has donated more than $13 million to the Clinton Foundation, per The Times. The Victor Pinchuk Foundation, which sponsored the conference, said in a statement to The Times that the $150,000 donation to Trump's foundation was "a specific request of Mr. Trump Foundation in September of 2015 when there were multiple candidates for the Republican nomination for president and it was by no means assured that Mr. Trump would be the Republican nominee in 2016." The Trump Foundation has drawn significant scrutiny for appearing to use donations for Trump's and his family members' personal benefit. The foundation also reportedly said in a tax filing made two weeks after Trump won the 2016 election that it may have broken federal rules that prohibit charitable organizations from self-dealing.